Go for a walk in the Pentlands and stop off at the Flotterstone Inn for lunch. Great Sunday day out! 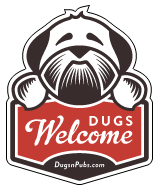 There are a total of 18 dog friendly listings in the Midlothian Pubs category. Please log in, or sign up as a member to view all listings.